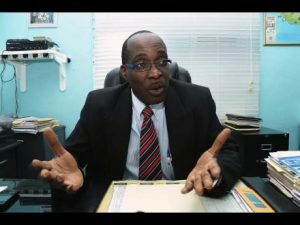 Education Minister Ruel Reid has made it clear that he would be making a strident push to shake up the educational system that he believes is over reliant on the Caribbean Secondary Education Certificate (CSEC) from the Caribbean Examination Council (CXC), and which is preventing young people from attaining their full potential. See full story on The Gleaner’s website. Although making it quite clear that discipline will be maintained, Dr Elaine Cunningham, who heads St Hugh’s High School in St Andrew, believes that the issue of grooming must include negotiation and compromise. See full story on The Gleaner’s website. 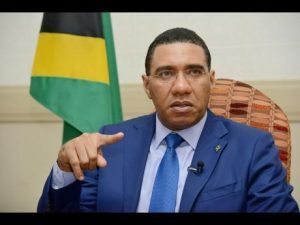 Prime Minister Andrew Holness is reassuring residents in the communities adjacent to the National Heroes Park in Kingston that the planned redevelopment of the area will be to their benefit, hence they have no reason to be concerned. See full story on The Gleaner’s website. Prime Minister Andrew Holness says that he has been receiving updates on the controversy surrounding former Minister of National Security Robert Montague’s involvement in the Firearm Licensing Authority (FLA) granting a gun licence to man who reportedly has a dubious record and who was previously denied by the agency. See full story on The Gleaner’s website. Franklin, the glorious ‘Queen of Soul’ and genius of American song, died on Thursday morning at her home in Detroit of pancreatic cancer. She was 76. Few performers were so universally idolised by peers and critics and so exalted and yet so familiar to their fans. See full story on The Gleaner’s website. Uton ‘Bigga’ Cocket, who the police say was the leader of the much-feared Hanover-based One Voice gang, and his mother, Carlene Graver, were murdered on Wednesday at their Elgin Town home in the western parish in what is believed to be a gang-related murder. See full story on The Gleaner’s website.